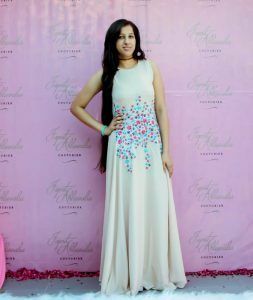 Japnit Ahluwalia showcased her amazing collection of festive wear at Almondz hotel, East Patel Nagar on 20th October 2016. Whether its a house party, a family function or a wedding season. The very first thing that comes in women’s mind is – What to wear?. Deciding the Outfit of your choice and getting the same becomes a huge task. 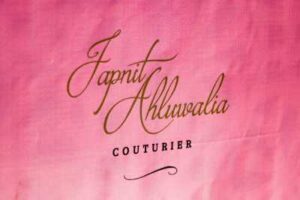 Japnit Ahluwalia comes up with amazing collection to help all the ladies. The amazing designs that would grab your eyes for a few seconds. The assortment of outfits were showcased with astonishing designs. Each attire was of one of a kind. The design label houses easy outfits which are enhanced through detailed embroidery. 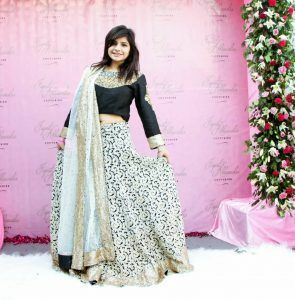 A simple crop top paired with pants is made chic and dressy with the pearl motifs that adorn it. Similarly, long Anarkalis with detail work are perfect for any occasion. Fabrics that are used to give a feminine and fluid feel to the outfits include georgette, crepe and net. The intricate detailing is inspired by the floral beauty found in nature. The outfits are meant to adorn women who are not afraid of experimenting with their style. 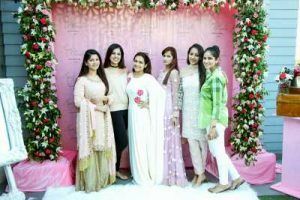 Some of the products include evening gowns, jumpsuits, anarkalis, etc. which are versatile as both day and evening wear. Japnit Ahluwalia, a fashion enthusiast with a keen eye for design, believes in making fashion as a part of one’s lifestyle. An artist at heart, her clothing focuses on regal and elegant silhouettes for the modern woman. Her intricate designs and embroideries combined with her love for flowy fabrics make her outfits comfortable yet classy. She believes in giving the best of everything in any possible way she could. All matters is the happiness and delightful faces of the customers. Grab the amazing collection of your choice and feel the beauty in you.